At Main Line ENT, we have an entire division devoted to facial plastic surgery (the Hove Center for Facial Plastic Surgery). 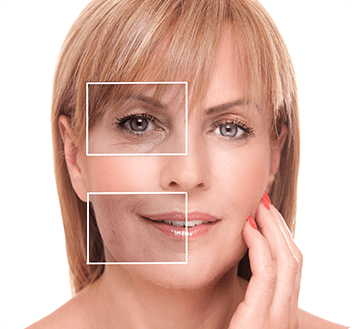 For beautiful results from a board-certified facial plastic surgeon in Paoli, Pennsylvania, trust Dr. Christopher Hove. Dr. Hove is currently the only ENT in the area with fellowship training and board certification in facial plastic surgery. In addition, he is the only local ENT providing care for facial trauma at Paoli Hospital. For cosmetic surgery or facial reconstructive surgery following skin cancer treatment or an accident, there is no one with more skill or experience in the Philadelphia metro area. At the Hove Center, we offer state-of-the-art treatments and procedures uniquely designed with form and function in mind. Dr. Hove’s skillful balance between art and science will help you achieve a more attractive, more confident look. In the case of a medical condition such as a sinus blockage or correction of a deviated septum, Dr. Hove has the training and knowledge to correct the condition while maintaining the nose’s artistic and beautiful appearance. The dramatic results speak for themselves, but be sure to read some of Dr. Hove’s patient testimonials to hear about how he helped change lives. To schedule a consultation with facial plastic surgeon Dr. Christopher Hove, call our Paoli, PA cosmetic surgery office at (610) 647-1585 today. You can also use our online appointment request form.